The Eurasia Residence Hotel, a classic and luxurious hotel tastefully decorated with a perfect blend of Asian and European styles. The Eurasia provides a warm atmosphere, personalized service, and stunning accommodations and amenities to ensure a memorable stay. About 5-10 minutes walk from the walking street and the most famous beach in Pattaya, Jom tein, the prestigious location offers easy access to the lively promenade and many Pattaya’s major attractions. 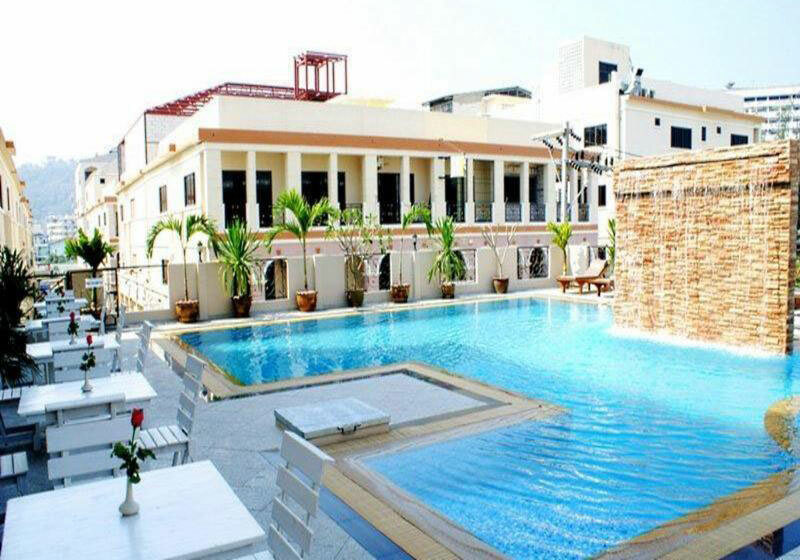 The unique style building houses 48 luxurious rooms, a pleasantly shaded swimming pool.Our welcoming staffs cater the needs and specifications of the most refined guests with the traditional hospitality for which Thailand has become famous the world over. The Eurasia Residence Hotel is a perfect gateway destination, for tourists and locals alike. Short Description: The Eurasia Residence Hotel, a classic and luxurious hotel tastefully decorated with a perfect blend of Asian and European styles. The Eurasia provides a warm atmosphere, personalized service, and stunning accommodations and amenities to ensure a memorable stay.